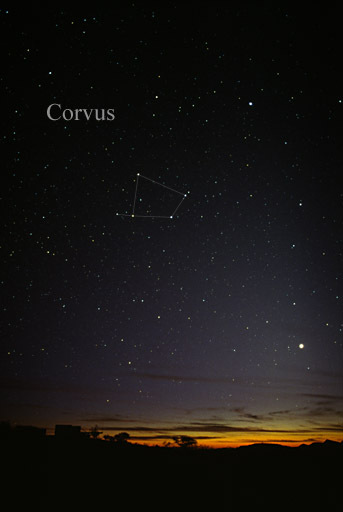 Corvus is a southern constellation that was cataloged by 2nd century astronomer Ptolemy that remains among the 88 modern constellations. 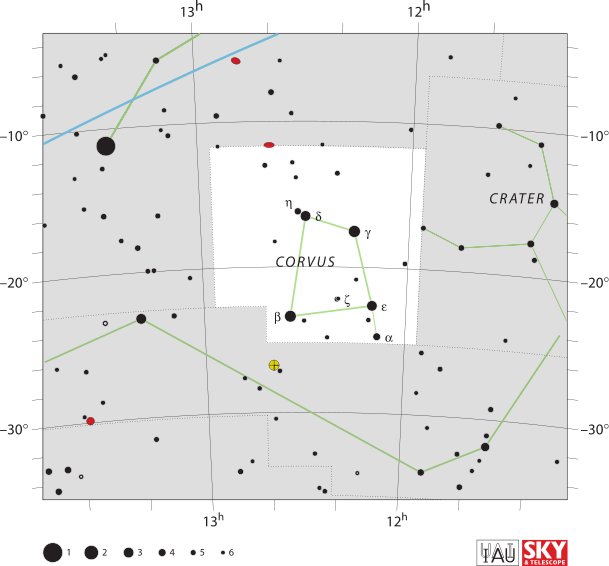 It’s four brightest stars form a distinct quadrilateral asterism that lies beneath Virgo’s back, adjacent to Crater, and above Hydra near its tail. This constellation reaches its highest nightfall ascension in May. Because of its deep southern declination, it sets shortly after setting, and it never rises very far above the horizon. 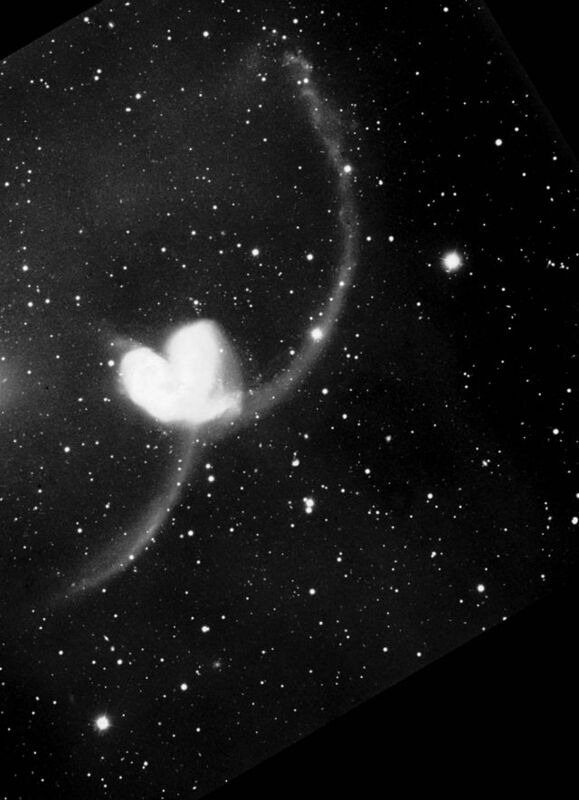 There are no Messier objects in Corvus, but there is a very interesting pair of NGC galaxies, the Antennae peculiar galaxy (NGC 4038 and 4039). 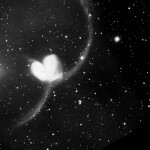 These two objects are undergoing a galactic collision which is stretching them out into unusual antenna-like shapes. “Peculiar” is a term given to any galaxy that does not have the usual spiral or elliptical shape. 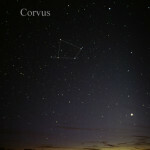 IAU Corvus chart, IAU and Sky & Telescope magazine (Roger Sinnott and Rick Fienberg), June 5, 2011.